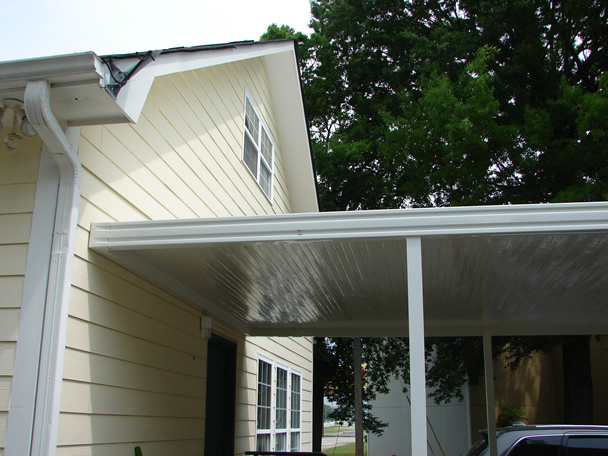 All carports and patio covers have baked-on enamel finishes available in several colors. 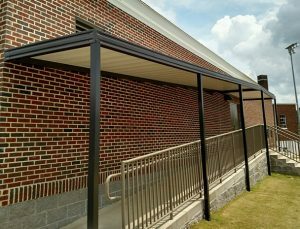 Our frames are built to provide large spans of uninterrupted space. 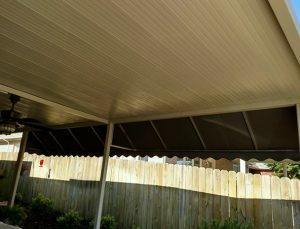 This awning provides coverage between two unattached commercial buildings. Various colors are available. All of our sales staff have color-swatches available for your review so you can choose the right color for your needs. 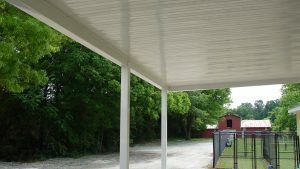 We can attach our car ports, patio covers, and awnings to most any building surface including concrete, block, brick, and various sidings. We then seal the joint to make a water-tight connection. 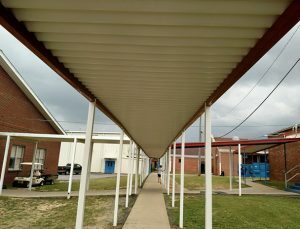 When larger commercial awnings are needed, as in the case of walkways, we build a frame that will extend down the ground. The entire frame will be supported by both anchors into the ground and also into the building.